P&B Weir Electrical Ltd’s Rail Short Circuiting Straps are used to short the positive and the negative circuit of a D.C. feeder section. In the event of an emergency or inadvertent re-energisation of the supply the devices cause the supply protection to operate. 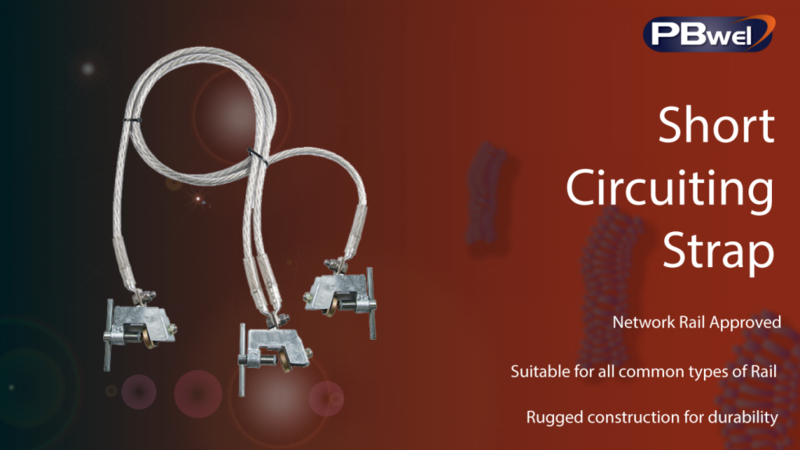 Each short circuiting strap consists of three J117 rail clamps fitted with suitably rated interconnecting flexible copper leads. The clamps are constructed from steel and are zinc galvanised to provide protection from site atmospheres. The body has an insulating shield fitted to prevent welding to the rail should the clamp be subjected to a fault current. The grooved block fits directly on top of the copper busbar ensuring a very low contact resistance. The busbar sits upon a stack of disc spring washers, which should be fully compressed when the clamp is applied. These washers apply a pre-loaded pressure upon the rail in order to maintain firm contact. DC Electrified Lines in Liverpool area (BR29740).